A welcoming country house spa the perfect place for improving fitness and ultimate relaxation. Calcot Spa is a luxurious haven of relaxation, located in the tranquil Cotswolds. Visit Calcot Spa to boost your fitness, escape the busy pace of city life, or just pamper yourself with exceptional spa treatments. The soft-lit courtyard, floor-to-ceiling windows, heated outdoor pool surrounded by elegant slate; all the elements of Calcot Spa’s design combine to imbue the space with a warm and peaceful energy. Book full or half spa days, or opt for a tailored spa day created especially to your needs. Luxurious Aromatherapy Associates, Caci and ELEMIS products are used in the spa, to deliver real results and total relaxation. Calcot has everything you need to immerse yourself in total relaxation. With a choice of three pools to take a dip or swim in, both adults and children alike are spoilt for choice at Calcot Spa. Why not head outside and descend into the warm, rejuvenating waters that the hot-tub has to offer, perfectly complimented by the surrounding greenery to create a total relaxed state of mind. Looking for something a little more active? 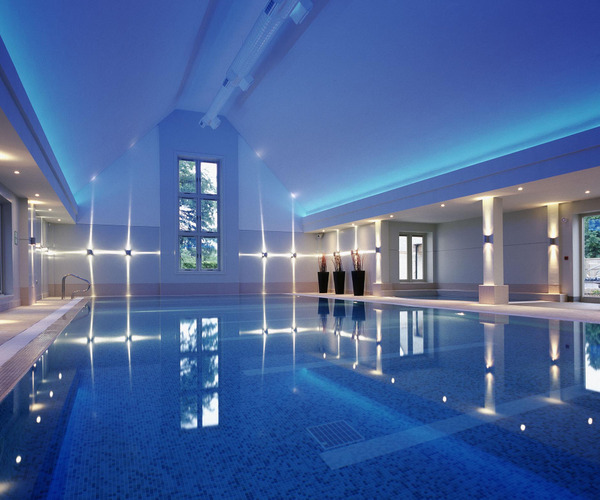 Calcot Spa’s sixteen metre pool caters to both the more serious swimmer aswell as families, with the kids pool at it’s side to watch over the little ones enjoy a splash about. For guests looking to let of some steam in a relaxed and friendly environment, Calcot’s new state of the art gymnasium is the ideal setting to do so, catering to both the casual exerciser aswell as fitness fanatics too, with a range of equipment including cardiovascular & resistance machines and weights too. If you're looking to challenge yourself in a more fast-paced environment? Head over to the fitness studio for a blast of Zumba or Pilates, or you may choose to take in the picturesque Cotswold countryside with a game of tennis on the outdoor courts. Nestled in 220 acres of tranquil Cotswold country-side, the 14th century country house hotel accommodates for every type of guest seeking to restore and recharge their batteries in the picturesque setting Calcot has to offer. Each of the 35 bedrooms situated in and around the Manor House are uniquely designed to personalise the experience of guests – Rooms include ten dedicated family rooms, all of which are equipped with steriliser, bottle warmer and changing mat in a spacious setting with separate sleeping areas available if you opt to stay in a suite. Each bedroom includes fluffy towels & robes throughout your stay at Calcot Manor, as well as satellite television and a high specification music system for guests who wish to reside to their bedroom at the end of the day and settle down for the evening. 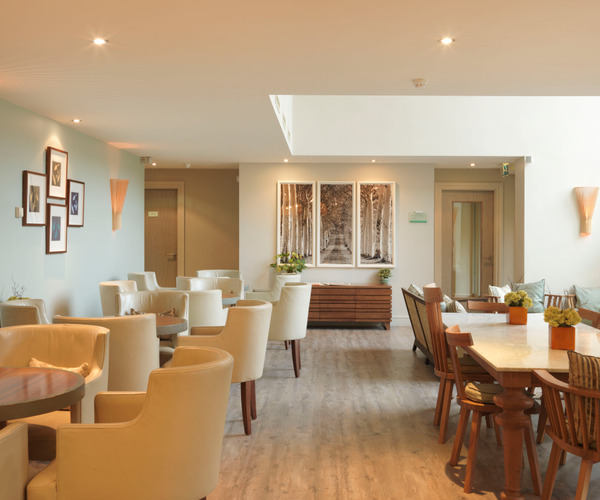 For dining, whether you’re after a two-course lunch or a light-bite of tea & cake following an invigorating spa treatment, the lounge at Calcot Spa offers a range of snacks and salads to enjoy in the informal setting redesigned and refurbished in 2010 by Beverley Bayes and Tom Howell. Guests can also enjoy fine cuisine at Calcot's principle restaurant; The Conservatory – Offering a flexible and diverse menu which accommodates to a range of dietary needs and preferences. Why not finish the evening with a refreshing cocktail, or perhaps indulge in a sumptuous treat from the extensive desert menu. For those looking for a dining experience in a traditional English Country Pub, ‘The Gumstool Inn’ is the perfect location to do so; warm, cheerful and cosy.